With this week seeing students back to school, the projected numbers for enrolments at Dufferin-Peel Catholic District School Board (DPCDSB) and Upper Grand District School Board (UGDSB) schools are in, with a projected increase across both school boards. For the UGDSB, the projected enrolments at Orangeville schools total 5,051, up slightly from last year’s 4,938. Projections for the elementary schools in Orangeville: Credit Meadows Elementary School 427, Island Lake Public School 516, Montgomery Village Public School 499, Parkinson Centennial Public School 454, Princess Elizabeth Public School 311, and Spencer Avenue Elementary School 308. Although enrolments at most of the schools in Orangeville are relatively steady compared to last year, the biggest changes are at Parkinson and Princess Elizabeth, the former seeing an increase of over 100 students, and the latter seeing a decrease by nearly 100 students. Heather Loney, Communications and Community Engagement Officer for UGDSB, attributes this change to these schools being subject to a boundary review, as Parkinson has expanded to include the French Immersion program. Elsewhere in Dufferin, the projections for Upper Grand public schools: East Garafraxa Elementary 416; Glenbrook Public 526; Hyland Heights Elementary 461; Mono-Amaranth Public 353; Primrose Elementary 503; Centennial Hylands 416; Grand Valley and District 263; Laurelwoods 270, and Centre Dufferin District High, 820. 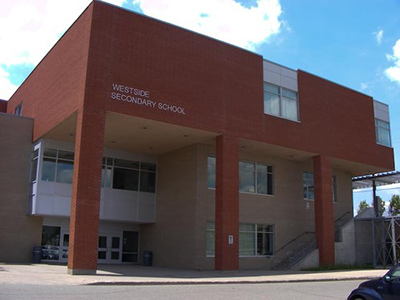 The projected numbers for Orangeville’s high schools are 1,138 for Orangeville District Secondary, and 852 for Westside Secondary, with both showing a slight increase from last year’s numbers. The numbers are just a projection, as the final totals won’t be in until the first Ministry count at the end of October. The verified numbers will be out in early December. For the Catholic board, projected numbers are given for every five years. By 2021, St. Andrew Elementary is to have 425 students, St. Benedict Elementary is 575, and St. Peter Elementary is 317. This brings it to a total of 1,317. Bruce Campbell, DPCDSB’s General Manager for Communications & Community Relations, says that enrolment numbers at each of these schools show a slight increase, which he attributes to new residential development in Orangeville and other parts of Dufferin County.